I may not be the biggest fan of the cold in general, but y’all, I am a snow bunny through and through. Nothing makes me more excited than snow flakes in a weather forecast!! 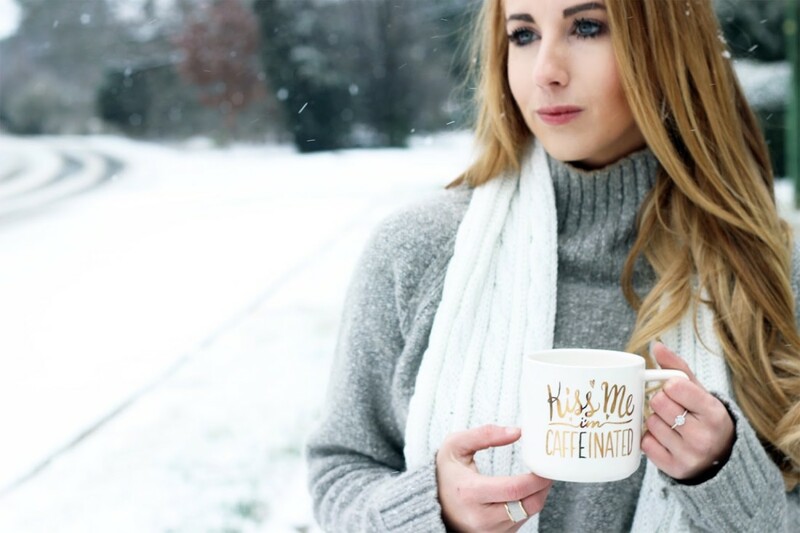 There’s something so picturesque about cozying up in the cold with a chunky sweater and a great cup of coffee (in an adorable mug, of course), right?! I hope you guys had fun in the snow and were able to get some good sledding in! Great snow day pictures! Loving you bag. I am with you on loving when snow falls, but otherwise I am not a fan of winter. Yay for cute pics in the snow & love that pom scarf!